Some consider their backyard to be a sanctuary that takes them away from the noisy crowded life they live. Well, they are right. Because what could be more fascinating than spending more time in your awesome and well-decorated backyard? This could be the place for your quality time if you know how to prepare the place the right way. With some effort and fun time, and without spending too much money, you can get the backyard you’ve always dreamt of like I did. There are thousands of ideas to start with. So, if you want to know how to turn your backyard into an oasis, just continue reading. We don’t have to treat our backyard as just a place to spend some of our spare time. It could be where we spend the time of our day. To do that we have to turn our backyard into a place we can live in. One of the things I really enjoyed is putting an old dining room in my backyard. I didn’t realize how this could affect my life until I did it. Eating with my family became something we all look up to. It became a fun and enjoyable time. And it didn’t cost me anything. In fact, I saved the money I was going to spend on moving the old dining room. 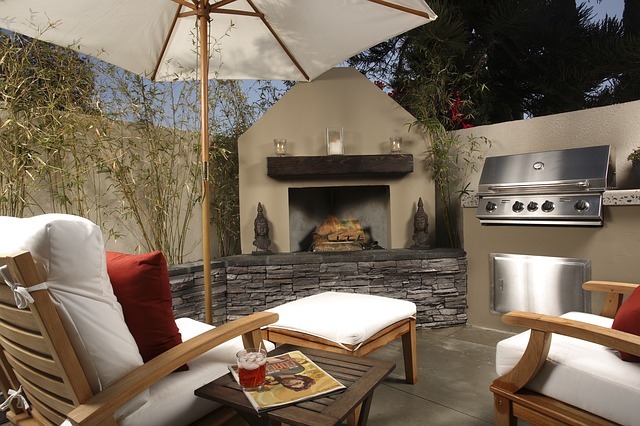 There are other things that could help in making your backyard an adorable place to live in. You could put some old chandeliers with solar bulbs or use some rope lighting to add some glimmering. Using tree stumps as tables is a very good idea. And if you want to add madness, you could use a hose and a shower head to make an outdoor shower. You don’t have to spend a lot of money to turn your backyard into an oasis. Don’t build that fancy pool that will consume your backyard space. A tarp and water sprinkler can do the trick and provide a fun and wet time. Another great tweak is the great chalkboard. Just hang it on the side of the house or on the fence and watch your kids express themselves on it. Of course, a backyard isn’t a backyard without that old looking tire swing and that ridiculous tree house. But they will give you the best times ever. You could enjoy a trampoline in your backyard or use some pool noodles to enjoy some exercise time with your kids. After all, that time you spent in playing, it’s time for some rest and relaxation. With a little work, you can make your backyard the place where you spend the best time of your day. 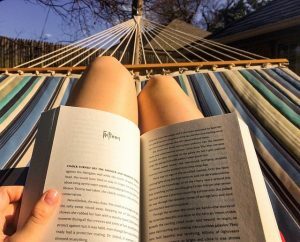 A hammock is the simplest way. Just tie it between 2 trees and have a nap while you pretend you are reading your favorite book. A backyard is a great place to have a nice romantic night with your wife or girlfriend. Just use some flowers and 2 chairs with those rope lights, and voilà. If you can spend some money, then why don’t you build your own theater in your backyard? Some bamboo chairs with a sound system and a projector, and you can enjoy movies with your family. But don’t forget to plant some lemongrass to keep mosquitos away and spread its nice scent everywhere. These tweaks can give you the backyard you always wanted. And believe me, you’ll spend the best times ever there.